Train like a champion. Are you ready? Gary Gilchrist has been doing it for more than 25 years – first as a top-ranked amateur and professional golfer in South Africa, then as a leading instructor for many of the world’s best junior golfers over a storied 16-year career that began at IMG’s David Leadbetter Junior Golf Academy. Now, Gilchrist is taking his proven, “Train Like a Champion,” techniques to even higher levels at the newly formed Gary Gilchrist Golf Academy. Based at the award-winning Mission Inn Golf and Tennis Resort just outside of Orlando in Howey-in-the-Hills, Fla., the Gilchrist Golf Academy actually marks its second full year as the hottest new training ground for elite junior and intermediate-level golfers. Personally developed and directed by Gilchrist, the new signature “Train Like a Champion” program is designed to boost the development of each participant and prepare them to peak at the right time. Ultimately, the Gilchrist goal is to create a breeding ground for champions and train and develop student-athletes into the best they can be – both in golf and in life. After packaging these compelling components, it’s time to finally, “Play Like a Champion,” and arguably nobody knows this part better than Gilchrist, a person some might consider the Godfather of Junior Golf. How else can one describe a man who has recruited and developed hundreds of the world’s top junior-level golfers as IMG’s former director of golf, and, most recently, as the head of instruction for the International Junior Golf Academy on Hilton Head Island, S.C.? In his illustrious coaching career that began at the David Leadbetter Golf Academy in 1993, prior to forming Gary Gilchrist Golf Academy in January 2008, Gilchrist trained more than 75 AJGA All-Americans, numerous nationally ranked collegiate golfers and a host of future pros such as Paula Creamer, Michelle Wie, Suzann Pettersen, Peter Hedblom and Sean O’Hair to name a few. And the Gilchrist golden touch continues to shine at his namesake academy, with one of his first pupils being Oklahoma State University star Morgan Hoffmann, the country’s NCAA Division I Freshman Player of the Year and the world’s No. 1 ranked amateur golfer, according to the most recent R&A World Amateur Rankings. Meanwhile, Montverde Academy senior Patrick Winther is a two-time AJGA major championship winner this past year and already committed Oklahoma State. Gilchrist formerly taught Winther at IJGA, but once Gilchrist left and started his own academy, there was no question where Winther was headed. After one short year under the reigns of Gilchrist’s newfound school, the move is already reaping big dividends for the native of Denmark. For instance, Winther captured the 2008 AJGA Polo Golf Junior Classic in a thrilling playoff, and then won the HP Boys Championship at Carlton Woods in February. Gilchrist, 44, still works with numerous professionals, but his heart and passion always lies with youthful amateurs like Winther. That explains why Gilchrist is so passionate about his unique partnership with the American Junior Golf Association. Earlier in the year, Gilchrist made a valuable strategic move when he became an official partner of the AJGA that makes, among other things, GGGA the umbrella sponsor of the AJGA’s Junior All-Star Series, the association’s entry level circuit for players aged 12-15. It was the first time in the AJGA’s esteemed 31-year history that it officially aligned itself with a single golf coach. “We really liked what (Gary) was trying to represent, working on the whole person,” AJGA executive director Stephen Hamblin was quoted as saying in Golf week, explaining his alliance with Gilchrist. Indeed, working on the complete person is something Gilchrist has always valued. That’s the main reason he partnered with Montverde Academy, a renowned co-educational private school where GGGA golfers attend a complete and intensive half day of college preparatory school. “Montverde was one of the biggest attractions in me coming to Mission Inn,” says Gilchrist, who attended Texas A&M University prior to turning professional in 1987. “The fact it was nearby was valuable. Most of the families investing in their children to come to my academy want them to go to the best Ivy League schools or top NCAA Division I universities. As Gilchrist puts it, his academy life is all about building the ultimate student-athlete. And the compelling combination of world-class golf instruction, fitness training, mental coaching and academic excellence is what distinguishes GGGA from any other golf academy in the world. Basically, what Gilchrist really loves is helping young people truly, “Train Like a Champion.” Are you ready? 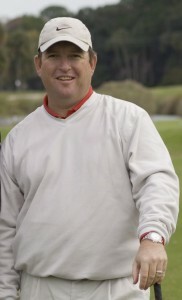 To learn more about the Gary Gilchrist Golf Academy, visit www.GGGA.com or call toll-free 1-866-639-9099.